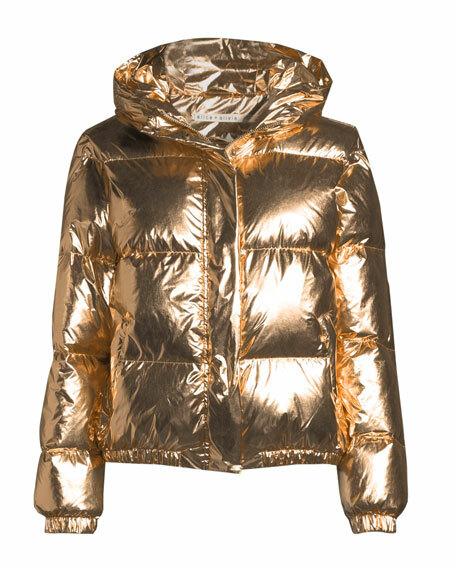 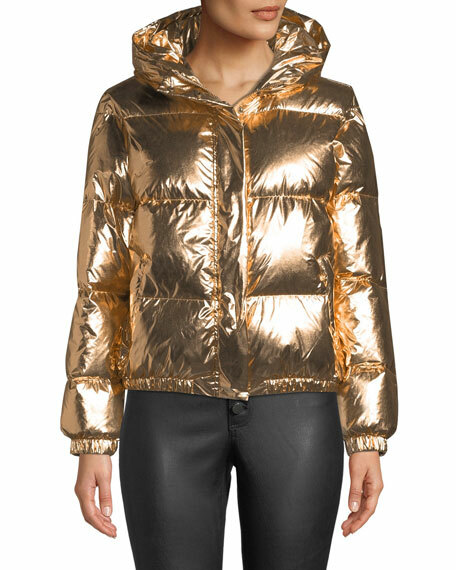 Alice + Olivia "Durham" metallic puffer jacket. 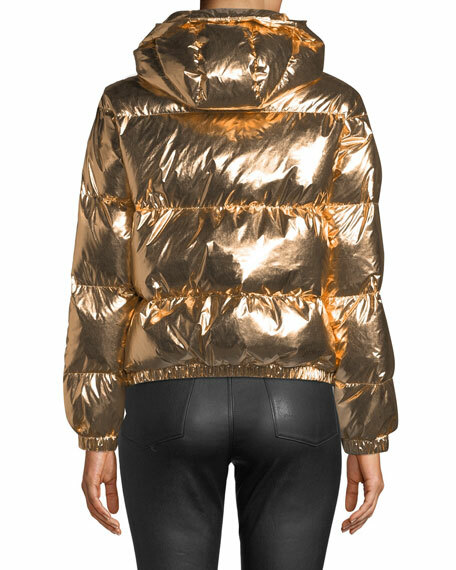 Hooded neckline; zip front with snap placket. 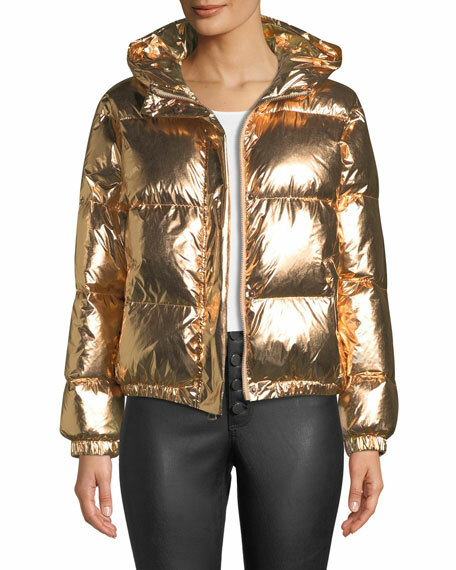 For in-store inquiries, use sku #2761200.